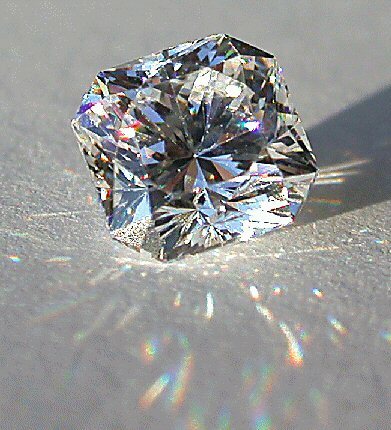 In addition to High Pressure/high temperature (HPHT) methods that transform common tinted diamonds into highly prized colorless and ‘Fancy Color’ diamonds. A diamond's quality and price are determined by a set of four conditions known as the four C's: cut, clarity, color, and carat. When selecting a diamond, look for one that balances these four qualities without straining your budget. 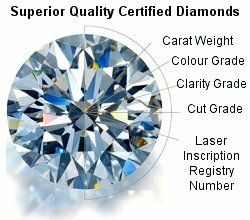 Perfect quality diamonds are rare and extremely expensive, but you can select a slightly less perfect diamond that still appears brilliant to the naked eye. While many diamonds appear colorless, or white, they may actually have subtle yellow or brown tones that can be detected when comparing diamonds side by side. Colorless diamonds are the rarest and most valuable of all. Color variations are a result of the natural forces (i.e., temperature, pressure, trace elements) at work during the formation of diamonds within the Earth. Because subtle color variations dramatically affect the value of a diamond, a color grading scale is used to categorize the shading differences from one diamond to the next. Colored Diamonds are amongst the rarest diamonds and ideal individual tastes can appreciate mother nature’s unique colored diamond. Synthetic diamonds have essentially the same chemical composition and crystal structure as natural diamonds but they are grown in a laboratory. In the last 30 years, gem quality synthetic diamonds have been grown in Japan, South Africa, Russia, Ukraine, and the United States. Generally speaking, there are two methods for producing synthetic diamonds: high pressure/high temperature (HPHT) or Chemical Vapor Deposition (CVD). For people who cannot afford real diamonds or want a 100-percent guarantee that their diamond is conflict-free, synthetic diamonds are good substitutes. For many years, the only synthetic option available was cubic zirconia, but now consumers can also choose from Moissanite and man-made diamonds.